When it comes to taking care of your eyes as you age you will certainly receive a lot of information both accurate and inaccurate. Wading through the information received can be daunting. Cataracts are often a center of myths and tales associated with seniors and vision care. We have centered this installment around breaking the myths that surround the formation and surgical procedures associated with cataracts. Cataracts are the leading cause of blindness throughout the world, more than glaucoma, diabetic retinopathy, and macular degeneration collectively. They are more common in seniors than any other demographic. Estimates suggest fifty percent of Americans will have had cataracts by the time they are eighty years old. It is important that seniors have correct information, an understanding of their vision condition, and what options they have for correction. Truth: Once a cataract is removed from the lens through surgical means, it will not return. A “secondary” cataract may develop. This occurs when the membrane holding the foreign lens implant in place becomes cloudy. This is corrected with a simple, painless procedure called a YAG laser capsulotomy. An eye surgeon will create a small opening in the membrane to assist in restoring the sharpness in vision. Cataracts are a clouding in the lens of an eye that causes the impairment of an individual’s vision. This eye disease affects over twenty-five million Americans that are 40 and over. Once individuals have reached 75, over half of them will be diagnosed with cataracts. As adults age the eye’s lens starts to yellow and harden which creates blurry vision, dull perception of colors, and night time driving becomes difficult. Cataracts do not get better and in fact get worse overtime. In fact, cataracts have several stages as they progress. It is important to treat the symptoms of cataracts in order to slow or stop cataracts from getting worse. In order to get a proper diagnosis and treatment plan it is crucial to visit an ophthalmologist. Planning treatment for cataracts slows down the need for cataract surgery. Fuzzy spots are the most obvious early sign of cataracts. If individuals start to experience small, fuzzy spots in your field of vision that seem to worsen over time, you may be developing one of the first sign of cataracts. These signs will start to make normal, daily activities harder than ever before. If you notice the quick onset of cloudy vision it is important to get into the eye doctor sooner rather than later. Individuals with the early stages of cataracts also mention a gradual decrease in vision at night. Changes to vision may include darkening or dimming and may also lead to tinges of brown and yellow. During the day changes may not be as noticeable because there is light to balance vision that is dimming however, at night it is instantly noticeable. Individuals with emergent cataracts experience discomfort with bright lights. This becomes more and more difficult to manage as cataracts worsen. If you notice you are squinting or closing your eyes more around bright light or noticing headaches that come on quickly from flashes and bright lights, it is time to schedule an appointment with an ophthalmologist. As cataracts worsen, the lens of the eye hardens and becomes cloudier. Some cataract suffers mention the appearance of a glare or halo in their field of vision. The light that passes through the cataract is diffracted which causes a glare and ringlets around bright sources of light. During the day the halos and glares are less noticeable then that are in the evening. During the earliest stages of cataracts, individuals may notice changes in vision. Regular eye exams are crucial for older adults. In fact, ophthalmologists often detect cataracts before individuals notice a difference in vision. Cataract damage is not reversible however, there are some things you can do to slow down their progression. It is important to talk with your eye doctor first to determine if cataract surgery is needed before cataracts worsen. Some ways to increase the health of your eye include eating a diet rich in omega-3 fatty acids, wearing sunglasses, determine if your prescription medicine worsen the effects of cataracts, and treat dry eyes with daily eye drops. Cataracts are a way of life for people as they age. If you notice a cloudiness in your vision, you are most likely developing cataracts. The clouding is in your eye’s natural lens that lies behind the iris and pupil. This eye disease is the leading cause of blindness throughout the world. More people have cataracts across the world than the combination of diabetic retinopathy, macular degeneration, and glaucoma according to PBA, Prevent Blindness America. In fact, 22 million Americans over the age of 40 are experiencing cataracts. Subcapsular: This is a cataract that develops at the back of the lens. People that suffer from diabetes or take a high dose of steroid medicine are at a greater risk of developing subcapsular cataracts. Nuclear: This type of cataract is often associated with aging and forms deep within the nucleus of the lens. Cortical: Cortical cataracts appear in the lens cortex (part of the lens surrounding the central nucleus) and often appears as white wedge, working from the periphery of the lens and moves into the center of the lens like a spoke. Cataracts begin small and have little effect to a person vision however overtime you will notice that your vision will become a bit hazy and blurred. You may notice that you become more sensitive to light as well. The symptoms that are experienced often vary from person to person as well as on the type of cataract that has developed. An eye exam can give you an official diagnosis. There are a number of studies, mostly controversial, show that certain nutrients and nutritional supplements can help reduce the risk of cataracts. Higher intakes of vitamin E, carotenoids lutein, and zeaxanthin from supplements and nutrients in food have shown to decrease the risk of cataracts. Wearing sunglasses that offer 100% blockage of the suns UV rays help to reduce the chances of cataracts. Eye vitamins, a healthy diet, and good nutrition can help in the prevention of cataracts. As symptoms occur your vision may be improved with new glasses, bifocal, increased lighting, and the use of other visual aids. Surgery is only considered after cataracts have progressed and impair your vision and affect daily happenings. Most people think that bad vision occurs as a normal part of aging but surgery to correct cataracts is fairly simple, pain free, and widely available. Cataract surgery is successful in restoring vision. 3 million Americans undergo surgery for cataracts each and every year. 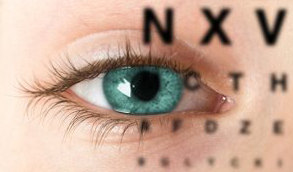 In fact, 9 out of 10 people regain good eye sight after cataract surgery, between 20/20 and 20/40. Surgeons remove the cloudy lens and replace it with a clear, plastic intraocular lens, IOL. It is important to take time to recover from surgery. Don’t plan on driving for a few days and avoid strenuous lifting and activities. It is important not to bend over or put pressure on your eye. One of the benefits of aging is the amazing side effects it has on our bodies! Of course, we are being sarcastic however, it is true that as your age increases so do the ailments that affect us. One of the most common side effects of aging is the development of cataracts. Cataracts are described as a cloudiness on the lens inside your eye. Often the loss of vision due to cataracts cannot be corrected with the use of contacts, glasses or corneal refractive surgery, LASIK. We know this sounds scary at first. However, vision can be restored when it is lost because of cataracts with modern cataract surgery. Surgery for cataracts often reduce the dependence on vision correction methods as well. As previously mentioned cataracts are most often associated with the process of aging. Cataracts are more common to seniors and in fact up to 70% of Americans over 80 have been affected by cataracts. This number is expected to continue to increase in the years ahead. This is just one of the reasons eye surgeons have taken modernizing cataract surgery so seriously. It is expected that the population of the United States affected by cataracts is to nearly double by the middle of the century. 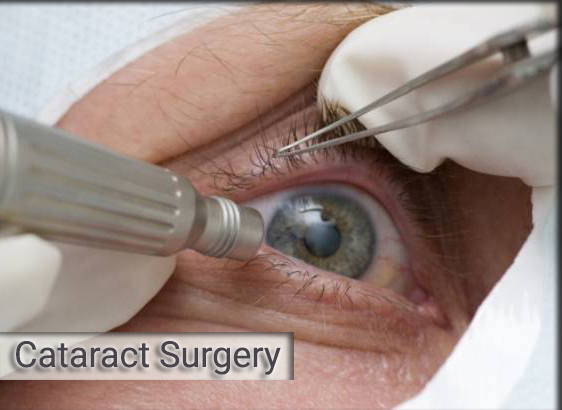 One of the safest, most effective, widely performed surgical procedures now-a-days is cataract surgery. Three million cataract surgeries are performed each and every year, the majority resulting in unparalleled visual outcomes. During cataract surgery the cloudy lens inside the patient’s eye is removed and replace with an intraocular lens, IOL. This artificial lens helps to restore clear vision. The surgical procedure is most often performed on an outpatient basis and doesn’t require the patient to stay overnight. Modern cataract surgery involves the use of a high-frequency ultrasound that is used to break the cloudy lens into small pieces that can be removed. Modern cataract removal is known as phacoemulsification, phaco for short, and is performed using smaller incisions than used in previous cataract techniques which allow for faster healing times and a reduction in the risks such as retinal detachment that can occur as a complication of cataract surgery. Once all of the remnants of the cloud have been removed from the lens the surgeon then inserts the clear intraocular lens. It is positioned in the same location as your natural lens, behind the iris and pupil. Special circumstances may require the lens be placed in front of the iris and pupil, but this is not common. Once the cataract surgeon has removed the cataract and finished the IOL implant procedure with the closing of the incision that was made to your eye a protective shield is put into place over the eye. This shield is in place to protect the eye as you recover from surgery.